It’s been a month since thought leaders from around the country gathered to discuss emerging trends and hot-button issues at the second annual Indiana Governor’s Conference. The conference was hosted again this year at the beautiful JW Marriott in downtown Indianapolis and is clearly growing into an important annual meeting of women throughout the Midwest. In case you missed this energizing, one-day event or would love to impress your co-workers and boss with key takeaways, below is a sampling of what the presenters at the conference offered. 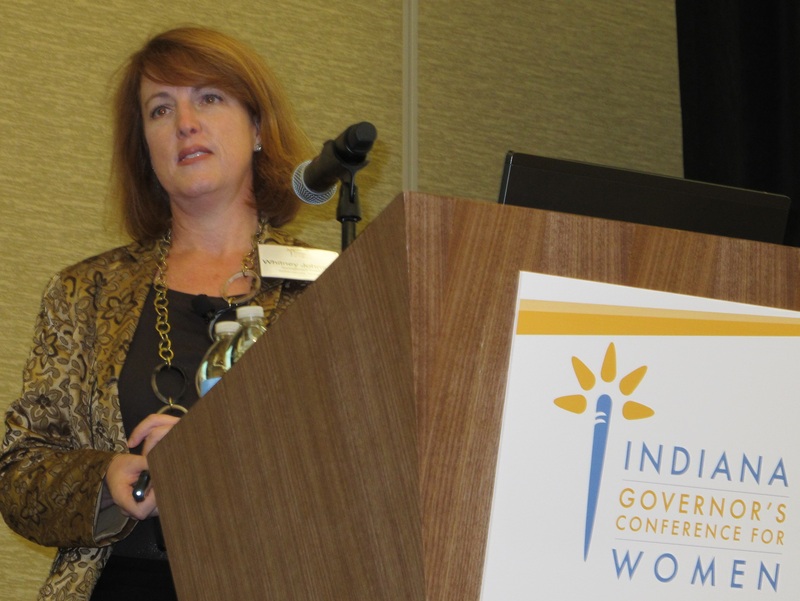 It was the governor of Indiana who used the phrase “Iron sharpens iron” in his opening speech at the 2014 Indiana Governor’s Conference, but the idea of women strengthening other women was explored in detail by many of the presenters. In fact, the conference founders, Deborah Collins Stephens and Billie Dragroo, explained that the purpose of the event was to inspire, energize, and connect women, so they could, in turn, pass on the inspiration and energy to other women in their communities and businesses. Helping and serving other women can prove to be a career boost. Author and Emmy-award winner, A’Lelia Bundles, said that many successful women make it to the top by latching on to a busy person and helping them achieve greatness. On a similar note, a nationally recognized expert in professional development, Caroline Dowd-Higgins, suggested no one gets to the top on their own. It is through the service of others that a truly successful career can be realized. 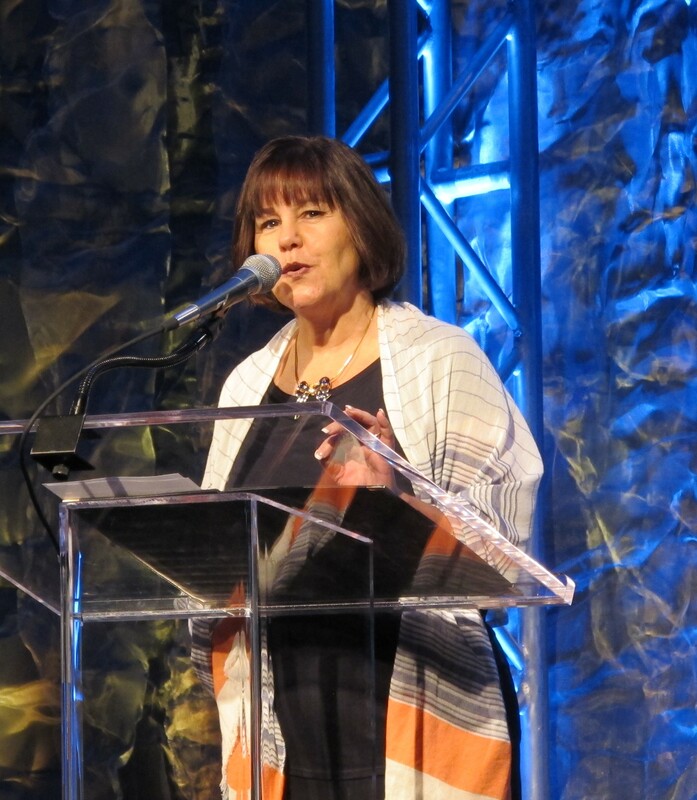 Even though serving and growing others can be a valuable career-boosting tactic, the thoughtful and scholarly-minded Marylene Delbourg-Delphis reminded conference attendees of the altruistic nature behind serving as a mentor, partner-in-growth, etc. Delbourg-Delphis insisted that women should uplift other women, simply because it is the ethically grounded path to take. A reoccurring theme among many of the presenters’ personal stories at the Indiana Governor’s Conference was a willingness to let go of “best-laid plans.” Congresswoman Susan W. Brooks was the first speaker at the conference to encourage attendees to “throw out your 5-year plan.” The political leader noted, while there is extreme value in setting goals and designing plans, her successful career would not have happened had she not been willing to pursue an unexpected opportunity. Both Allison Melangton, who served as the CEO of a Super Bowl Host Committee, and Angela Braly, who sits on the board of directors at both Procter and Gamble and Lowe’s, also suggested that truly successful business leaders embrace risk and accept the road to achievement is often a messy, unmapped one. 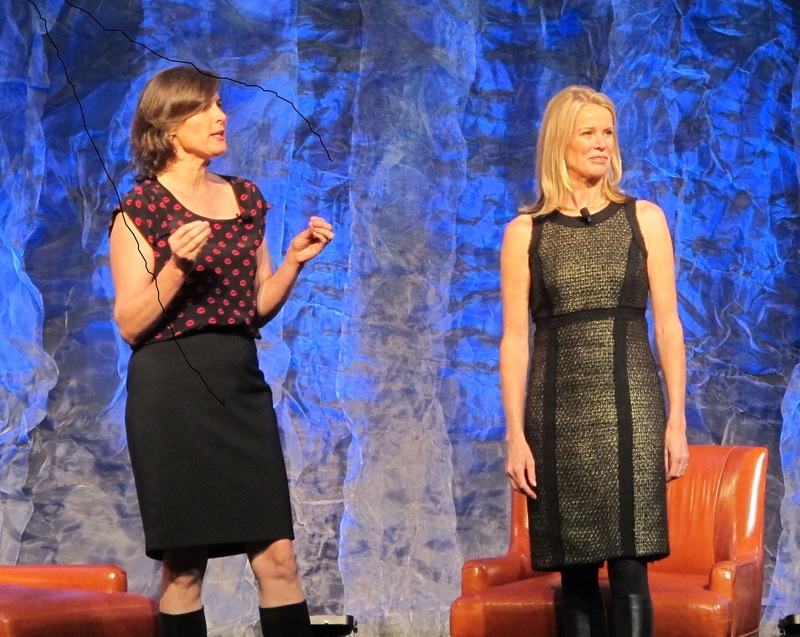 This fear of a messy and unplanned course can be one reason why women do not often achieve leadership positions, according to keynote speakers, Katty Kay and Claire Shipman. Kay and Shipman, authors of the New York Times bestseller The Confidence Code, found that women’s tendency to pursue a perfect path can be a hindrance to career development, whereas women who embrace risk are more likely to rise to the top. Whitney Johnson, an author and award-winning Wall Street analyst, delivered a powerful speech on “personal disruption” to attendees at the 2014 Indiana Governor’s Conference. Johnson suggested that women should not apologize for “laying down the pom-poms” to pursue a successful career. However, she reminded the audience that failure is a natural part of pursuing success. Consequently, women leaders should ditch the shame that comes with failure – “put failure in its place.” In fact, she explained achieving is simply daring to fail. National speaker and author Caroline Dowd-Higgins discussed a similar concept: “Giving up guilt.” In her standing-room-only presentation at the Indiana Governor’s Conference, Dowd-Higgins told the audience that a woman should not feel guilty for “putting her own oxygen mask on first.” In other words, it is easy for a giving and thoughtful woman to bury herself under the needs of those around her. By doing so, Dowd-Higgins explained that a woman’s health, happiness, and dreams can suffer. For that reason, she encouraged attendees to give of their time and talent generously but reminded them to not feel guilty when it comes to sustaining their own health and well-being. You nailed it, Anna – thank you for a stellar and thoughtful recap of a wonderful event!